MakerPlay is an mobile learning platform designed to promote STEM education and maker culture among children who are long-term hospital patients. These patients are at risk of falling behind their peers because they are missing school, extracurricular programming, and vital social interaction due to their extensive hospital stays. Most hospitals' infrastructure to make up for that gap are not enough. We created a series of single-use project kits patients can take to work on a project in their down time during their treatment. Everything they make is theirs to keep and share. 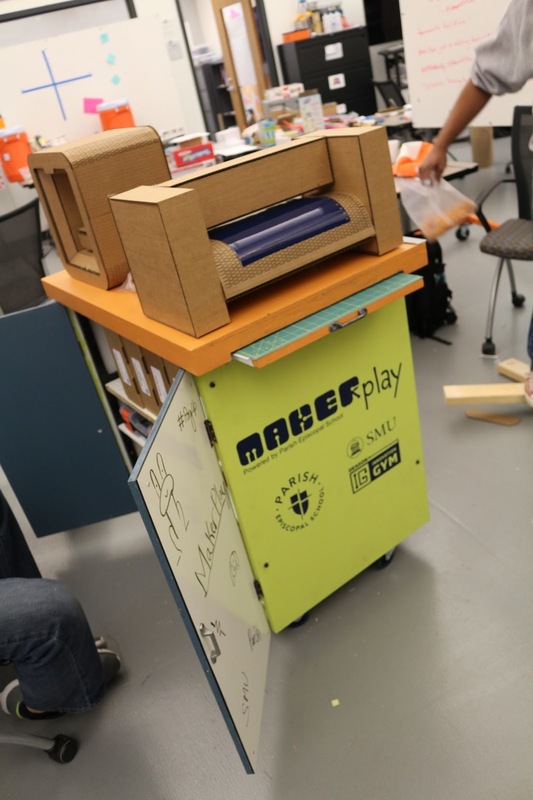 MakerPlay Creation Station is a mobile cart that stocks the kits and extra supplies while giving patients access to non-expendable tools like computers, tablets, a 3D printer, or a vinyl cutter. Thirdly, the MakerPlay website houses a social platform to encourage project sharing and patient interaction and serves as a portal to other resources, project ideas, and additional help. The project client, Parish Episcopal School, has implemented two of these pilot carts at the pediatric care facilities of two major hospitals in Dallas, Texas in Fall 2016 with plans to expand to more in the near future. Visit the website here. Follow @makerplayparish on Instagram. 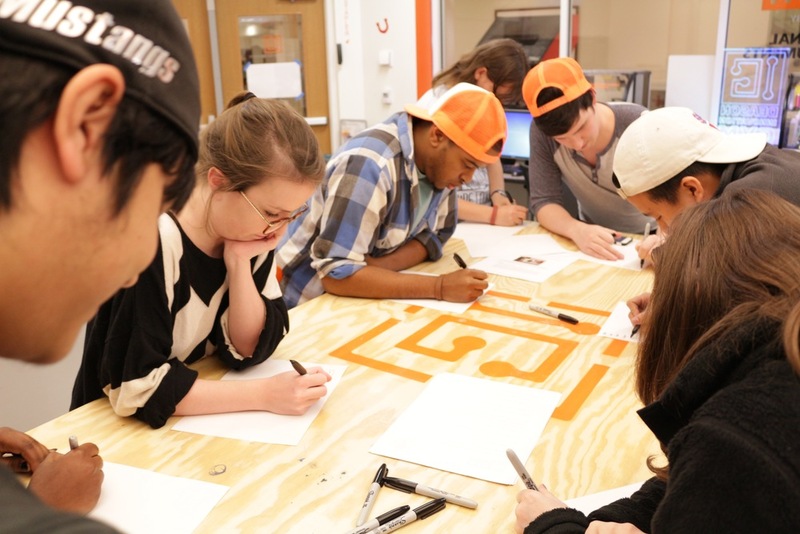 Each semester at the Deason Innovation Gym at SMU, we host an immersive design challenge (IDC) that pairs a group of students with a major client to help tackle a problem that either the client has or one found within the community itself. For this IDC, we partnered with Parish Episcopal School, who is planning to establish a program where children confined to hospital rooms for long stays can gain practical hands-on experience with new technologies and innovative processes to design and build projects while in the comfort of their hospital rooms. This program will teach science, technology, engineering and math to patients, together with their families, who are in hospitals for an extended period of time. This project helps patients stimulate their minds and stretch their imagination. 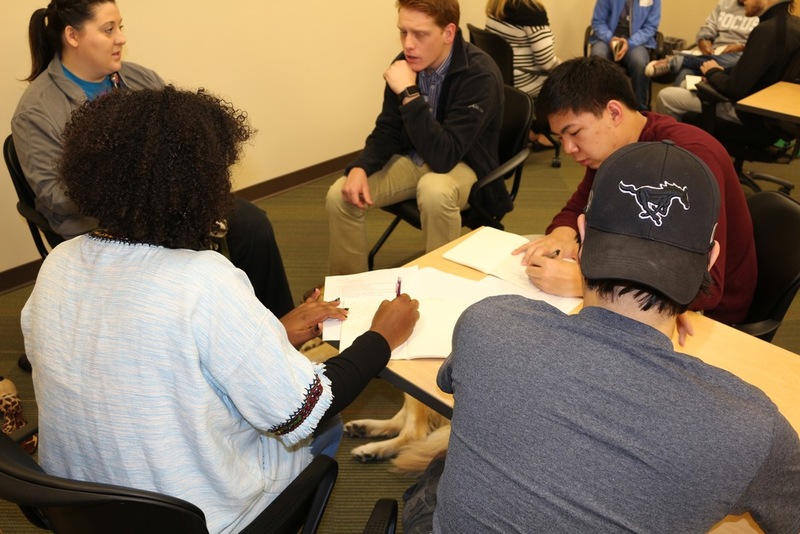 Students were first tasked with conducting research related to the needs, constraints and opportunities for this program. The student team then put together technical drawings, a prototype, recommendations for tools and materials, a proposed budget for the program, a marketing strategy, four curriculum modules and a plan for prototyping the program in a local hospital. 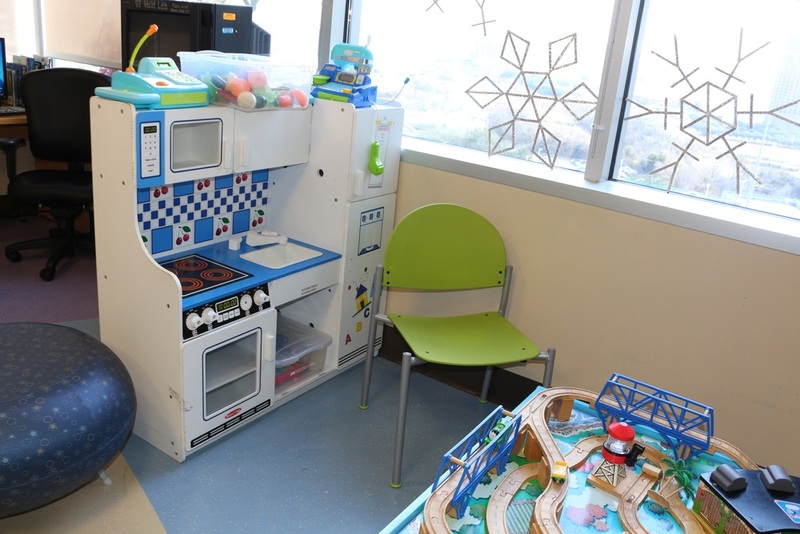 While there are existing resources in the hospital for patients to make arts and crafts, play video games, and interact with others, these existing resources are predominantly geared towards younger patients and fail to engage older patients and patients limited by contact isolation. After developing a series of initial questions and concerns, our research began by meeting with child life and educational programming specialists at Children's Medical Center Dallas and seeing the playrooms, library, in-house TV/radio station, and other facilities they have dedicated to create positive experiences during a child's hospital stay. Additionally, we spent some time talking to two patients who have personally experienced extended hospital stays, trying to learn about the different activities they might pursue in their downtime and what they felt during their stays. 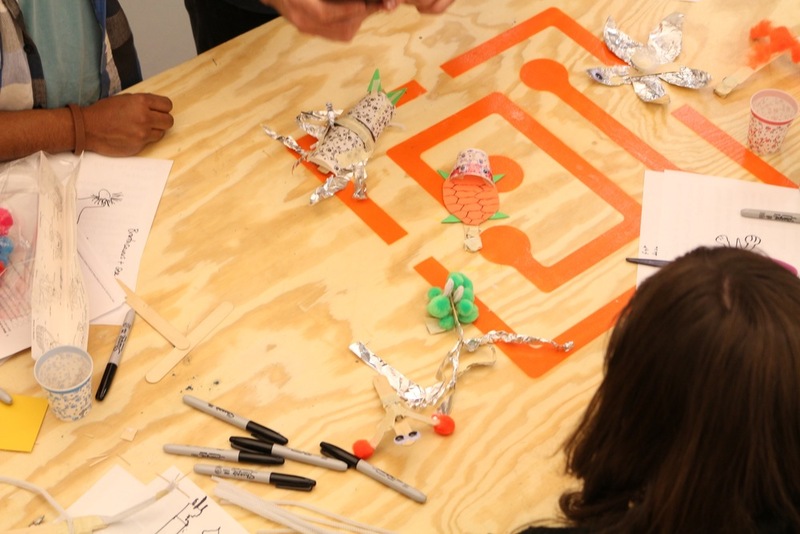 Lastly, we hosted a group of Cub Scouts and taught them how to make Vibrobots, "bots" that can be crafted using a small vibration motor, a battery, a lollipop stick, and whatever decorative supply you have at your disposal. This exercise provided insight on how to lead a lesson and how children learn, imagine, and apply their thoughts through hands-on creation. Our design research revealed the need to create a product that was mobile, safe, sterile, decorate-able, and created an opportunity to connect hospital patients to the outside world. Doing the Vibrobots activity prior to teaching it to Cub Scouts. Talking with Child Life Specialist at Children's Medical Center Dallas. Child Life Specialist maintain therapy dogs to comfort patients and ease pain. 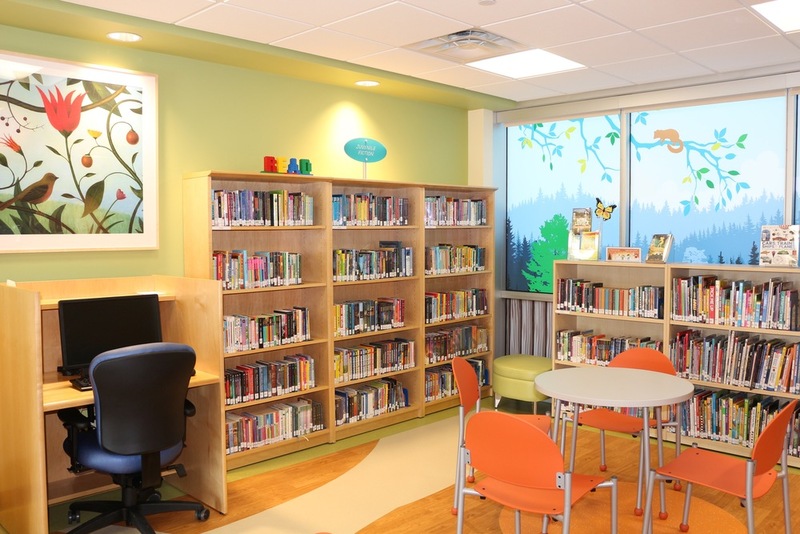 One of many libraries filled with children's books through adult fiction, as well as some reference and nonfiction. Some of the guided programming provided by the hospital for patients posted outside of the playroom. The playroom on C7 tends to see a lot of neuro patients. It's evident most of these toys are not interesting to kids above the age of 7 or 8. A kitchen play set, a train set, and a series of arts and crafts created by participants in guided crafts time. An old TV with a Wii so patients can enjoy video games. 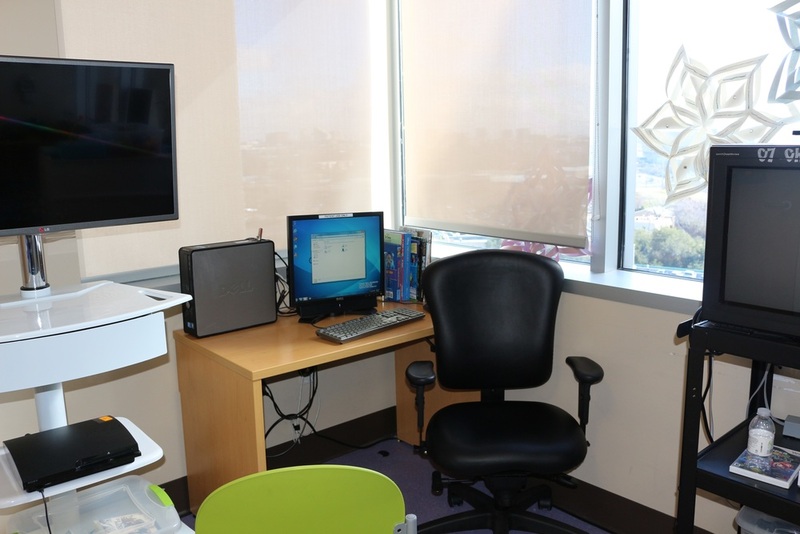 A Playstation and public access computer for patients to use. Speaking with Madeline, one of the patients we interviewed during our design research. Rob Rouse, a professor at SMU in education, teaches the team how to create lesson plans, ask guiding questions, and lead an activity for participants. Students build and launch straw rockets in Rob Rouse's sample activity plan. Teaching Vibrobots to Cub Scouts. 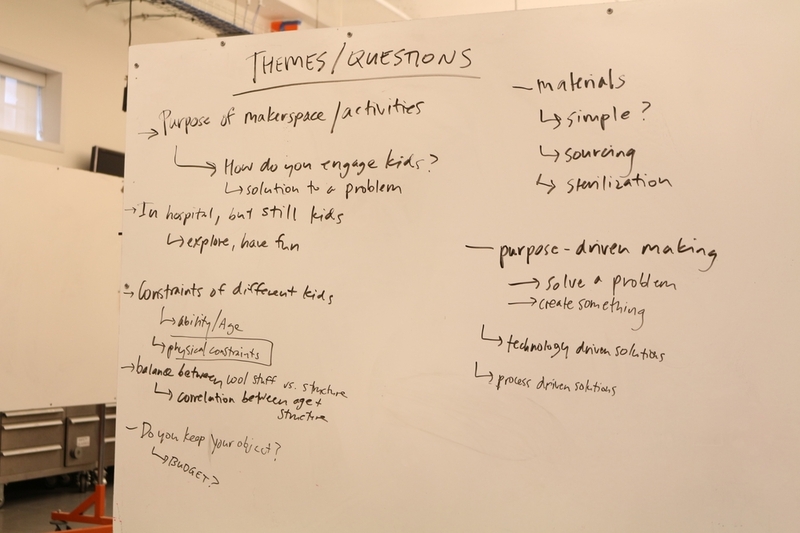 Themes and questions generated after our visit to the hospital and meeting with patients. More themes, questions, and requirements generated after our visit to Children's. Questions for Jenn, our client, after our visit to the hospital. MakerPlay kits come in a variety of folders and boxes that fall into four STEM curriculum modules that we decided we wanted to teach: experimentation, programming, vector/CAD modeling, and electronics. The kits take about 30 minutes to an hour to complete, are very hands-on, student-driven, have ways to take your project to the next level, and give you resources on how to learn more. Multiple kits exist within each curriculum module, allowing goal-setting and flexibility in knowledge level. Each kit contains a card that describes the project in summary, allowing the student to reflect on what they learned during the activity. All the parts within the kit are meant for only one patient, which affords the patient a sense of pride once they've completed something that they know is theirs to keep and show off. The MakerPlay Creation Station contains multiple copies all of the different kits, and has physical resources like a 3D printer that patients can use to turn their CAD designs into physical objects or a vinyl cutter that translates vector designs into stickers, stencils, and cool artwork. Computers and tablets with CAD and vector graphics software as well as coding resources are available for the kits that require them. Additional electronics supplies as well as basic arts and crafts supplies are stocked to supplement kits that could be expanded upon by the patient's imagination. The cart itself is decorate-able with whiteboard and cork board panels. The MakerPlay website not only contains additional information and resources on all the kits, but also gives patients the opportunity to share their work and ideas with other patients and the outside world through social media. It will allow patients to communicate with student facilitators of the carts at Parish, and raise concerns and make requests concerning the cart and the activities. Rough prototypes of most of the elements we were working on were user-tested with students in grades 3-4 at Parish Episcopal School, giving us vital feedback that we needed to help smooth out some of the rough edges in the language in our instructions, the setup process, and the packaging and iconography. Synthesizing our research throughout the first few days and generating "how might we..." statements for problems we need to solve. Building a "corn patch" of ideas along the way. Categorizing the different themes and things we noticed in the research into categories. From there we boil themes down into design principles, which we determine features that make sense. Focusing the research down into the guiding design principles for our product. "How might we..." statements and the beginnings of our program model lesson plan framework. Brainstorming different activity kits we could make based on the design principles. Tinkertoys and K'nex we used to help build hand-on experiences for our vector/CAD curriculum module. Playing with conductive paint to build hands-on experiences for our electronics module. Charlie helps us extensively by being a test subject for the play-doh circuits kit. He plays "Mary Had a Little Lamb" using this simple circuit and just a little bit of code. Charlie in the process of building a play-doh circuit. Charlie learns how to create circuits by drawing them using conductive ink. Charlie builds a car in Lego Digital Designer. All the finished kits prototypes, logo-stamped and ready to go. Inside a project kit, which contains an instructions card, all the supplies necessary, a MakerPlay sticker, and a "Learn More" card. A MakerPlay Sticker to show that you're on your way to being a maker! Parish students "play testing" our play-doh piano kit. Parish students "play testing" our introduction to Scratch programming kit. Teamwork using Lego Digital Designer to make models in simple Lego-based CAD. Grinding screw ends off a repurposed tool cart. Adding new wheels to our cart. 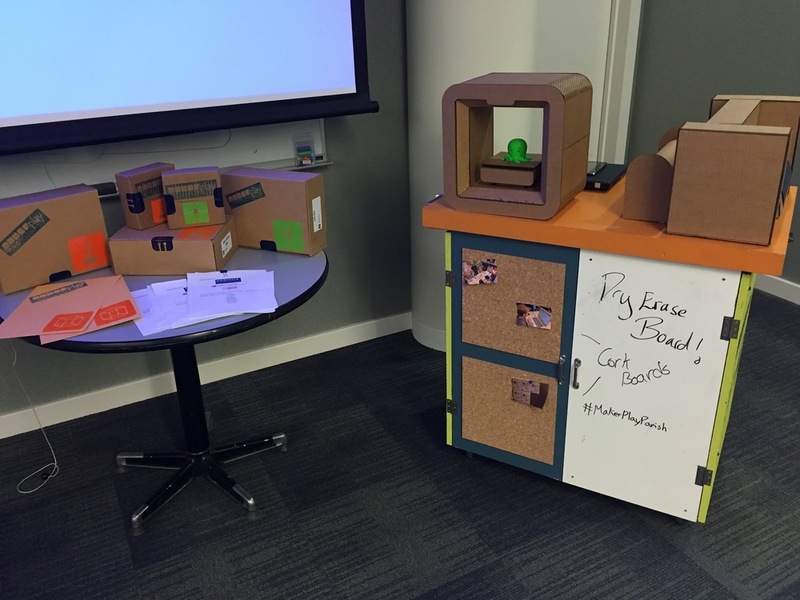 Cardboard scale prototype of a 3D printer that could go on the cart. Mounting doors onto our cart. Adding magnetic clips to keep the cart doors closed. All the project kits fitting inside the cart. Decorating the cork boards with pictures from the past week. A finished and branded MakerPlay Creation Station ready to go! Our deliverables were presented to the client and community stakeholders at Parish Episcopal School on the final day of the IDC. The project puts Parish Episcopal School in a position to seek a partnership with area children’s hospitals and/or other similar medically-affiliated entities such as Ronald McDonald House. MakerPlay is on its way to 501c3 registration, which means we can say we founded a non-profit in just a week's time. The assets handed off include an executive summary, all the design research, the program model, a brand and brand assets, 14 unique project kits across the 4 activity areas, a prototype cart and technical drawings, a website and social media strategy, plan of execution for the carts, budget, marketing strategy, supplies list, equipment recommendations, and guidance for maintaining and creating future programming. 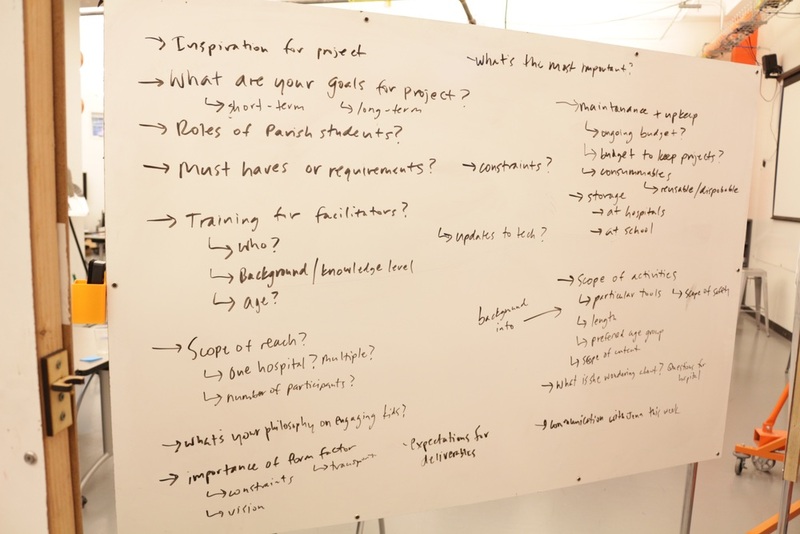 As a student advisor to the project I learned a lot about what it's like to teach and guide my peers through the human-centered design process and synthesis as well as rapid prototyping. I realize that there exists a very gray middle between what it means to be a student or a facilitator and advisor. Having been on both sides now, I've noticed that learning happens only when both mentor and mentee are working together. These kinds of projects are immensely valuable because it upends the traditional "mentor working for the mentee" model of traditional university lectures versus actually working with the mentee.